Pinnacle. Apex. Apogee. Ultimate. Words used to describe the very best of things. At Cabot Guns, we don’t take the claim of being best lightly. And so, when we bestow the mantle of “Ultimate” to one of our creations, you can rest assured that you’re receiving only the very best. 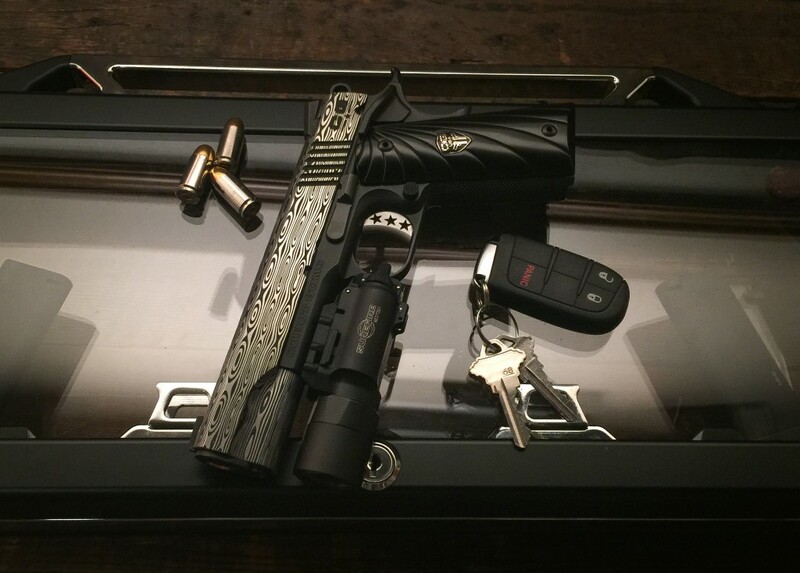 Complementing the slide is a frame of American 416 Stainless Steel – finished in a state-of-the-art black PVD. The frame to slide fit is Cabot-perfect in every way – so too in its subdued hues cooperating to free the shooter from vision-distorting reflection. Rhombus cut checking on the front strap and main spring housing, combined with the positive tactile engagement of Cabot’s Fibonacci G-10 grips give the Bedside a palm-to-frame feel that’s sure not to slip. A radiused precision-fit aluminum TriStar trigger fits perfectly the pad of the human finger, enabling a smooth and consistent trigger pull. 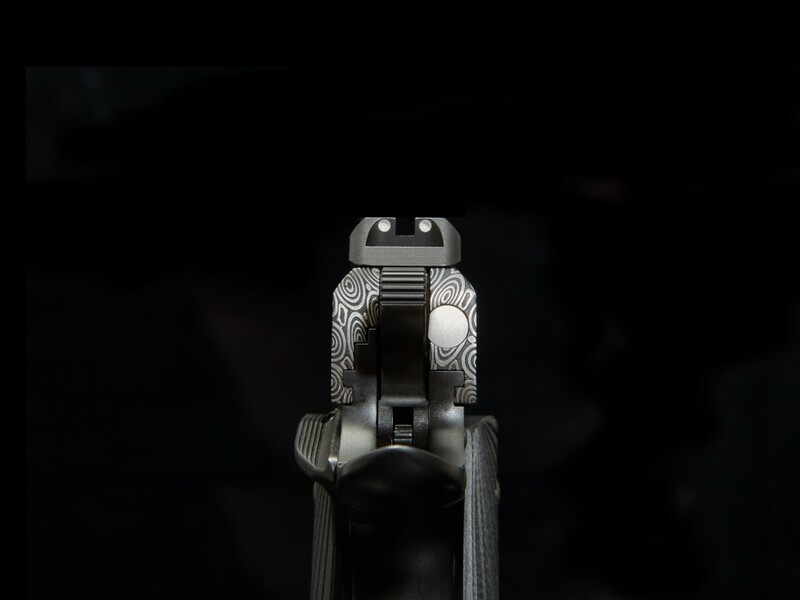 Knowing that low or no-light situations are those in which the Bedside thrive, a beveled magazine well has been incorporated to ease and speed the process of reloading. A single-sided-safety, slide stop and magazine release – all formed of strong and reliable billet steel complete the sleek yet firm interface between man and tool.